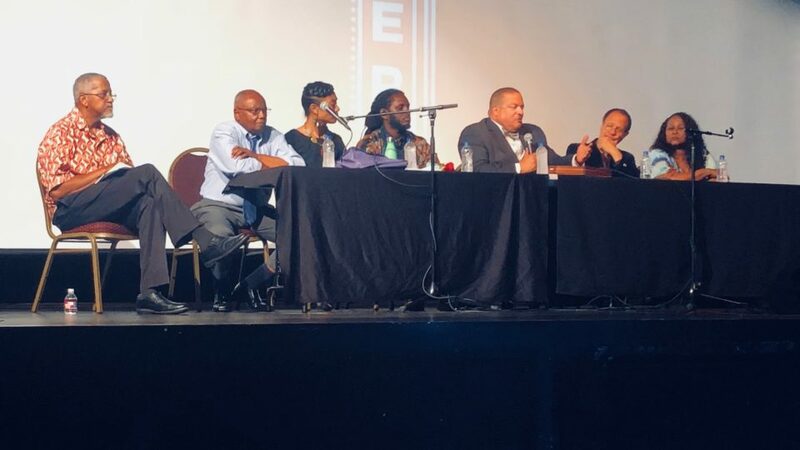 New Orleanians had their say about the Zulu Social Aid & Pleasure Club’s “black makeup” tradition at the recent “Beyond the Mask” Town Hall Forum hosted by the NOLA Black-Owned Collaborative at the historic Carver Theater. The NOLA Black-Owned Media Collaborative includes WBOK 1230 AM, The New Orleans Tribune, The Louisiana Weekly, Data News Weekly, and Think504. 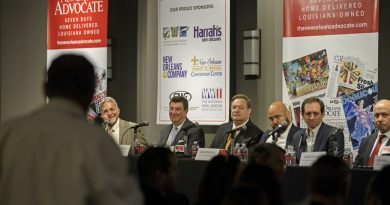 Moderated by Susan Henry, WBOK general manager and Jeffery Thomas, publisher and editor of Think504, the free event was attended by at least 250 multi-generational, multi-gendered, and multiracial community members. collective healing,” said Michael “Quess” Moore, a Take Em Down NOLA (TEDN) organizer, who sat on the panel. Local historian Leon Waters, Malcolm Suber and Angela Kinlaw, organizers with TEDN, and cartoonist and radio host John Slade, and journalist C.C. Campbell-Rock were also on the panel. “This forum was vital in demonstrating that we, a community with a diverse array of opinions, are able to engage in healthy, solutions-based dialogue that educates and elevates our community beyond negativity; to place where we can stand together and move forward,” said Henry. “Zulu should end its self-deception. Blackface has been rejected by anti-racists, worldwide. Get with the times. Drop blackface,” said Malcolm Suber, TEDN organizer. Attorney David Belfield, a former member of the Zulu Club, who was not officially authorized to speak on behalf of the Club, agreed to weigh in at the forum after Zulu President-Elect Elroy James failed to show up and hear from the community. James told the N.O. Advocate that the town hall was “irrelevant” and that the club was not going to revisit the tradition of blacking up. However, Henry said she had spoken to James several times and expected him to participate. Belfield, who was expelled from the Zulu Club, sued the club in 2012 over a 50% increase in membership fees. Nonetheless, Belfield, the former Club President who also served as King Zulu in 1994 and was a member for nearly 30 years, backed the Club’s refusal to unmask based on the group’s 110-year tradition. Belfield explained that founding club members “could not afford masks,” so they blackened their faces. He criticized TEDN for protesting outside of the Zulu Club a few days before Mardi Gras. “It looked like you wanted a confrontation; not a conversation,” he said. 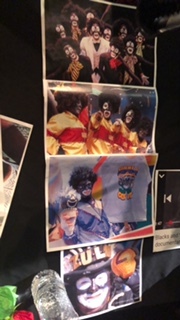 Suber replied, “We sent a letter requesting a meeting to discuss the Club’s blackface tradition. 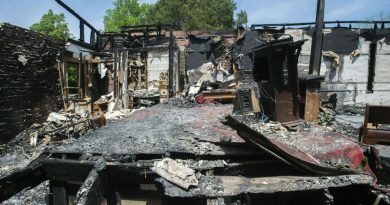 We didn’t want a confrontation, we just wanted the Zulu Club to come to its senses.” No one responded to TEDN’s request. Despite TEDN’s protest, the parade krewe “blacked up” for Fat Tuesday 2019. “A lot of sickness and pathology was left from colonization. They (founders of Zulu Club) went to a minstrel show and were inspired. We know what we’re looking at. It’s a minstrel show,” Moore said. The Zulu Club did unmask during the height of the Civil Rights Movement, when the group came under fire for blacking up. Reports are that the club membership dropped to 15 members before they stopped blacking up. It was a time of intense black pride, the black power movement was on the rise and black activists were having none of a tradition that started as a mockery of whites who donned blackface but was later viewed as “disgraceful” by the late civil rights leader Oretha Castle Haley, president of the New Orleans Chapter of CORE. “I think Zulu is a disgrace…Zulu is just a big mess, that’s all. Many people feel we should get rid of Zulu because the white people think that’s the way we are and then they want to have a parade that imitates the white people. Well, that’s not us, any more than the grass skirts and the coconuts are,” Moore quoted Haley as saying in 1961. 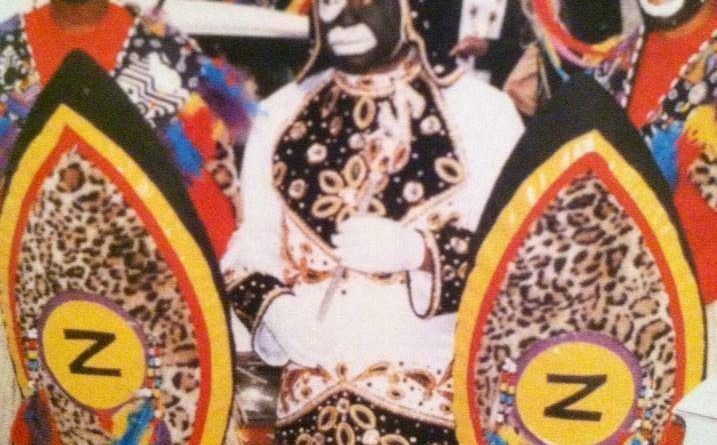 Scarcely discussed was the fact that the Zulu Social Aid & Pleasure Club’s white members also “black up,” which amounts to a black parade group’s policy sanctioning the wearing of blackface by white men and women. Whites comprise 20 percent of the club’s 800 members. “We simply are not willing to simply accept blackface as acceptable or justify it as anything other than what is was created and intended to be in degrading the beautiful existence of black people. 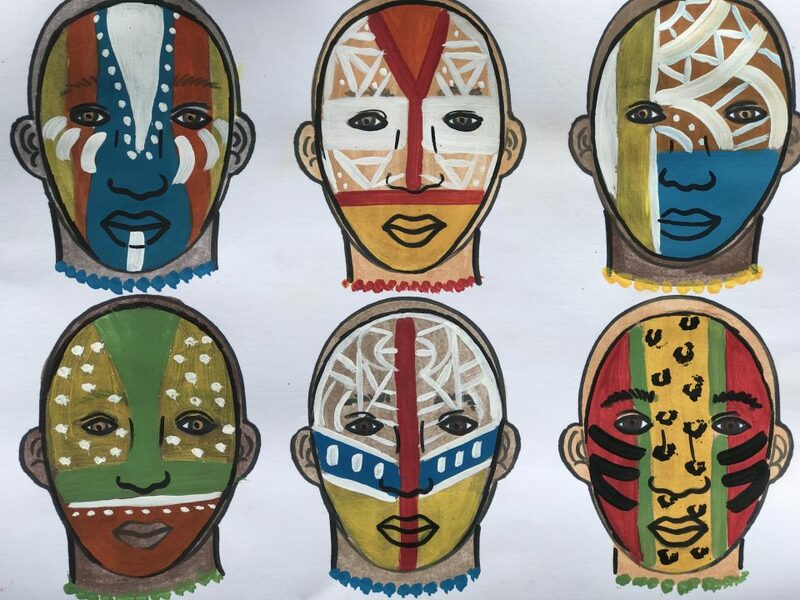 It’s not simply about paint on faces, but the intentional theatrical exaggeration of stereotypical features of black people (such as enlarged protruding eyes – white rings around the eyes & enlarged lips to exaggerate the expressions of black people as they perform minstrel),” explains Kinlaw. “Imagine the possibilities,” Kinlaw continued, while offering images created by Journey Allen, a New Orleans-based artist. Although Belfield agreed that the drawings were attractive, he suggested that Kinlaw give the artwork directly to the Zulu Club. Members of the communities were both for and against the Zulu tradition. 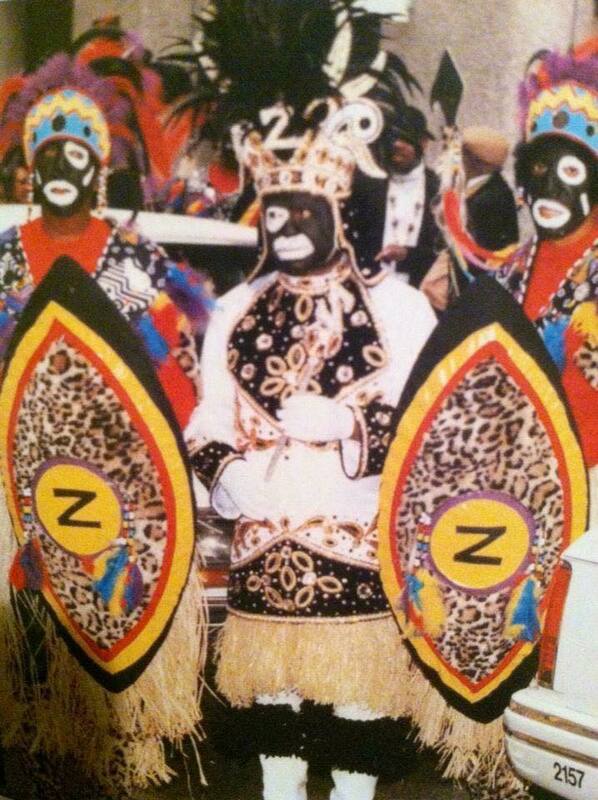 Rudy Mills, aka Sllim Ydur, the radio host of “Gumbo Tapado” on WBOK supports Zulu’s “blacking up” tradition. “Don’t change the black face paint because the original Zulus were that hue,” Ydur commented. “We had dialogue. Nothing can be changed, until it is faced. I think its important that we had this dialogue. The Black media put this on,” Thomas said, ending the event. a. Standing Committees ‘Dat endorse, just because it’s always been there. Don’t think! b. Foolish Habits aka “The Folly of Fools is self reinforcing in and of its Foolishness! c. The “Anything Goes Paradigm” aka “We can ‘Splain it”! 2. The Consummate African Proverb? “What man has done, man will do”! Proverbs says- “The Poor will always be with you”! Intimated in Proverbs as well? “The Fool will always be with you as well” (The Poor aka ‘Po Fool? Devasting! Empty Pockets Buck Dancing? What’s wrong with ‘Dis ‘Pitcha? ), also why Hell has confirmed lots of Reservations! 3. “The Wise avoid the Tradition of Fools”! Folly is “Plural” for many and lots of! Saw more Black Face/Make- up, Polluted spirits, Buck Dancing and Grass Skirts Swirling in 2019 then ever before in The History of NOLA aka “Fools Rush in Where Angels Fear to Tread”, and they boasted it!! !